The lab is really a breeding ground conceived to satisfy the most varied demands for shapes and materials. Thanks to the large work bench (1245 x 710) and to the possibility to emboss, the machine Speedy 500 has the peculiarity of engraving and cutting large sheets of material. 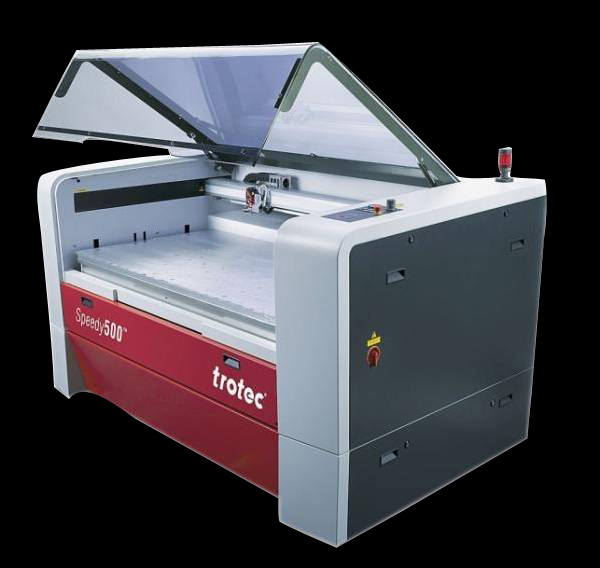 The laser providing 105 watts of power allows to work on a large variety of materials, making it possible to cut quite thick sheet, and also to achieve a very high quality engraving.